Rocky Galileo is an actor and star of High School Astronaut 3D: Aloha, Mars. First price in junior scientist society's model rocket competition was a dinner with Professor Frink and Rocky Galileo. Sherri cheated by letting Lisa's rocket explode which made her develops synaesthesia. After Lisa discovered what she had done, all the other members decided that Lisa won. 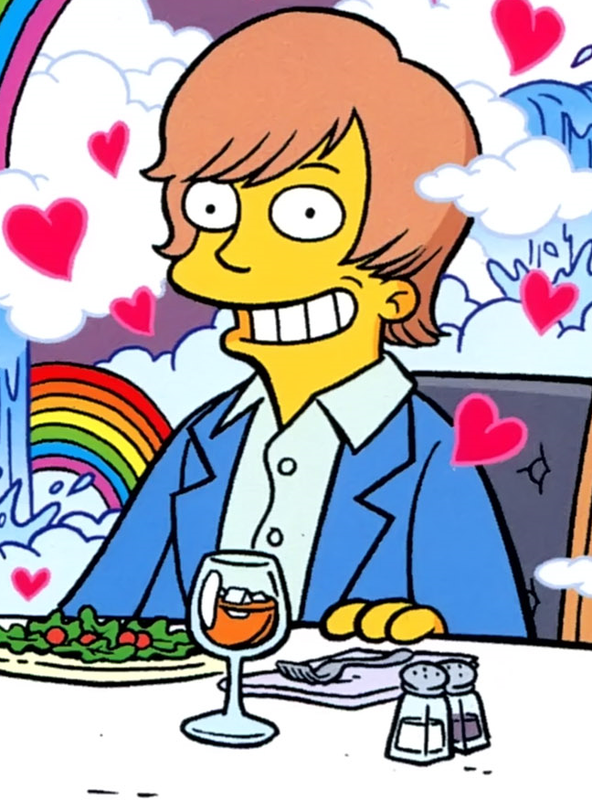 Under the dinner telling Frink that the side effect will disappear soon but Lisa telling him that is no hurry after she seeing that Rocky is smelling waterfall and rainbow. Modified on September 7, 2016, at 06:44.